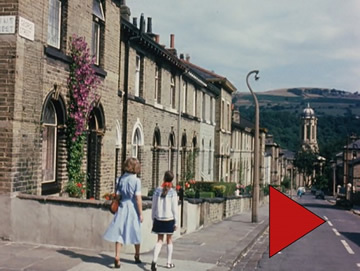 A beautifully made homage to Titus Salt and his model village of Saltaire, with a highly informative commentary, and filmed in the gentle pace typical of its maker, Eric Hall. 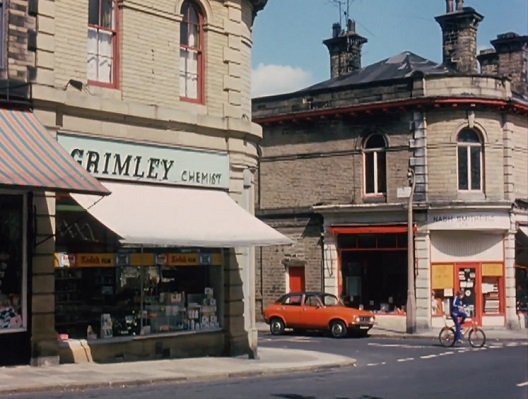 Although made in the mid-1970s, Saltaire appears here as idyllic as it must have seemed upon its creation. Despite the control of paternal elitism, the Victorian philanthropist illustrated here makes for an interesting comparison to the view of employees taken by the typical entrepreneur of today. 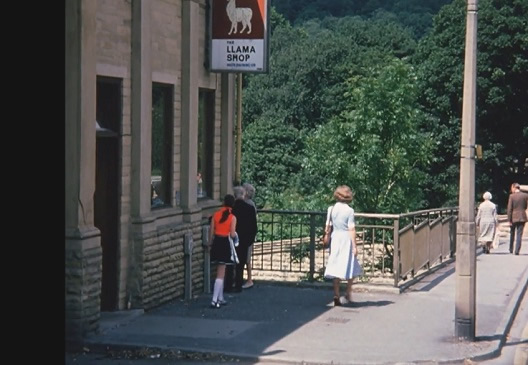 Eric Hall began making films on the local customs, people and places of Yorkshire in 1929. He was at one time Chairman of the North East Region of the Institute of Amateur Cinematographers and President of Bradford Cine Circle. For a major capitalist, Titus Salt was certainly progressive for his time, but the paean of praise given by Eric Hall needs to be tempered by Salt’s employment of child labour and his big brother style of policing his workers. There are conflicting accounts given why he wouldn’t have pubs in Saltaire as he wasn’t opposed to alcohol. Some say it was because of a fear of debauchery, others that he didn’t want his workers plotting in them. Salts Mill closed in 1986, and the hospital in 1979. 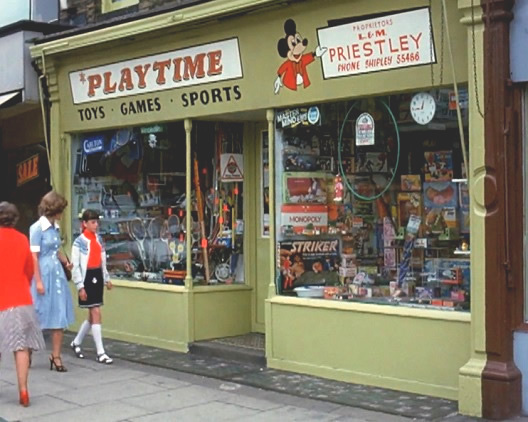 Above: Gordon Terrace, Saltaire, 1976: Playtime - Toys, Games Sports. Proprietors L & M Priestley. 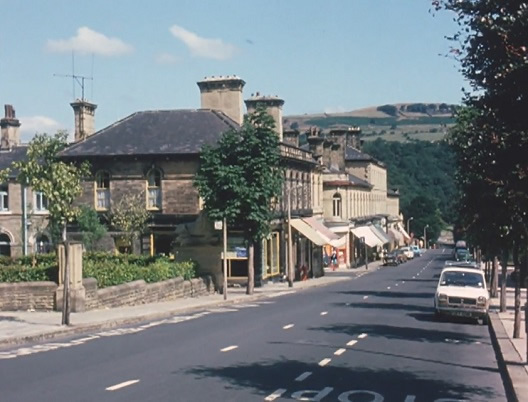 Above: Victoria Road, Saltaire, 1976, showing young trees. 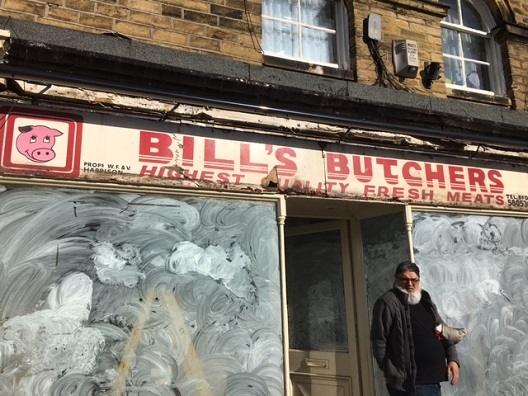 Above: Renovation work on this Saltaire shop on Gordon Terrace, exposed this sign: Bill's Butchers - Highest Quality Fresh Meat. Prop. W F & V Harrison. The photograph was taken on 23 October 2016. Bradford and Saltaire covered in snow. It includes a horse drawn snow plough. Early images of the fairground entertainment on Shipley Glen in 1912. Shows scenes of a wooden roller coaster and a broken down Helter Skelter. The employees' trip to the seaside resort of Blackpool, undertaken in celebration of the centenary of Salts Mill, known as Salts (Saltaire) Ltd. 1853 - 1953. A brief history of the Jowett Company and the Jowett Car Club's annual rally held at Saltaire. Shows many fine vintage cars.